Louisiana Gov. Bobby Jindal speaks to members of the press after a State Dining Room meeting with U.S. President Barack Obama at the White House February 25, 2013 in Washington, DC. Governors from across the nation were in Washington for the 2013 National Governors Association Winter Meeting. Josh Gerstein writes a smart story about how the GOP’s efforts to “rebrand” and edge away from troublesome civil and social issues is being undermined by the Supreme Court. “Key issues that electrified the Republican base over the past few years are only now about to go before the justices.” The pollsters want the party to give up fighting legal gay marriage; the court’s accidentally reminding everyone of the GOP’s stance on the issue. Republicans want to improve their margins with non-white voters, but here the court is, listening to Republicans who want Section 5 of the Voting Rights Act to spare states from getting “pre-approval” from the DOJ to make sure minority groups aren’t getting disenfranchised by redistricting. The most confusing spin in the story comes from the unofficial leader of the campaign to rebrand the GOP without actually changing anything. 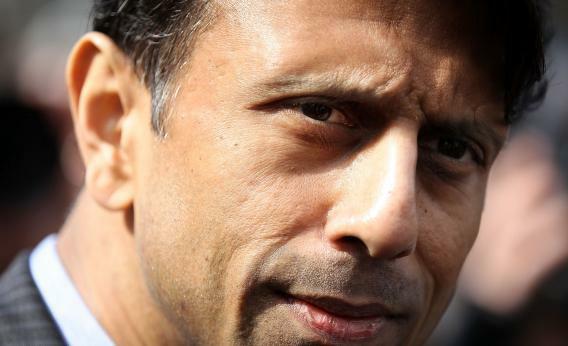 Jindal, who’s of Indian descent, suggested that explicit GOP attempts to cater minority groups would undermine the party’s brand. “We don’t need two Democratic parties in our country. I would resist efforts in our party to try to just copy Democratic principles just because they were successful in this last election. I think that one of the most important conservative bedrock principles is we treat the dignity of the individual; we don’t view them as members of special interest groups,” Jindal said. This isn’t just the usual drivel. It’s misleading drivel, because it starts with the assumption that all voters start on equal footing. That’s just false. Since the current wave of voter ID laws started in 2005, courts have used the VRA to challenge rules that hit non-white voters hardest. Black voters in every state are less likely to have current forms of ID than white voters. Black voters are more likely to take advantage of early voting; one reason is that black median income is lower than white median income, and black voters are less likely to have time to take off on the first Tuesday in November. In 2012, black voters were twice as likely as white voters to stand in long (i.e., more than 30-minute) lines. Legislators are aware of these patterns, just as they’re aware that black voters vote overwhelmingly for Democrats. That’s why most successful Republican redistricting efforts in 2011 packed black voters into safe seats, and that’s why, occasionally, a Republican legislator will say out loud that stricter ID laws will aid his party. So: Is the SCOTUS docket interfering with the GOP’s rebranding efforts? Or is it awkwardly reminding us of how “rebranding” is a mug’s game?